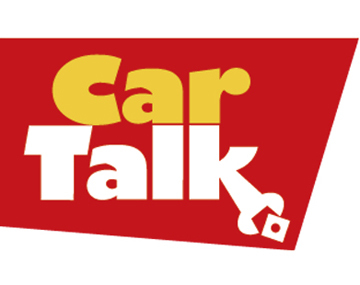 The Suffolk University Theatre Department will present the world premiere of "Car Talk: The Musical!!!" from March 31 - April 3 at the Modern Theatre, located at 525 Washington Street in Boston. The new musical -- inspired by the hit National Public Radio show of the same name and written and directed by Suffolk University Professor Wesley Savick – will be the first production created for the Modern. Showcasing five original songs by Michael Wartofsky as well as a dozen pre-owned Broadway standards, the production will feature 22 Suffolk University students and an alumnus from the class of 2005, Nael Nacer, who was most recently seen in Company One’s production of Annie Baker’s "The Aliens." Ray Magliozzi and Tom Magliozzi, co-hosts of NPR’s “Car Talk,” generously granted permission for Suffolk University to soup up their show with a musical engine. The brothers, a.k.a. Click and Clack, first appeared on the Boston airwaves in 1977. Their radio call-in show, which offers automotive know-how with an air of hilarity, was picked up by NPR for a nationwide audience in 1987. The play sends up classic Broadway songs about love and relationships, turning the romantic to the automotive and showing how the psychological and the mechanical intertwine, much in the way that the Car Boys do week after week on their NPR radio show. Savick describes the production as “an unlikely marriage between Broadway musicals and automotive advice.” Characters include Rusty Fenders, a hapless middle aged owner of a terminally ill ’93 KIA, who falls in love with Miata C. LaChassis. She steers him to the Emerald Garage, where the characters receive guidance in navigating through life, love, car repair and everything in between. This season marks the official opening of the Modern Theatre at Suffolk University, the newest performance space in the Washington Street Theater District. The grand facade of the historic theater, Boston’s first designed specifically for showing movies, has been painstakingly restored and reconstructed as part of the theater and residence hall development. For tickets and information, call Brown Paper Tickets at 800-838-3006 or visit www.moderntheatre.com/performance.